Jan 15th, 2017: In stock, ready to ship . 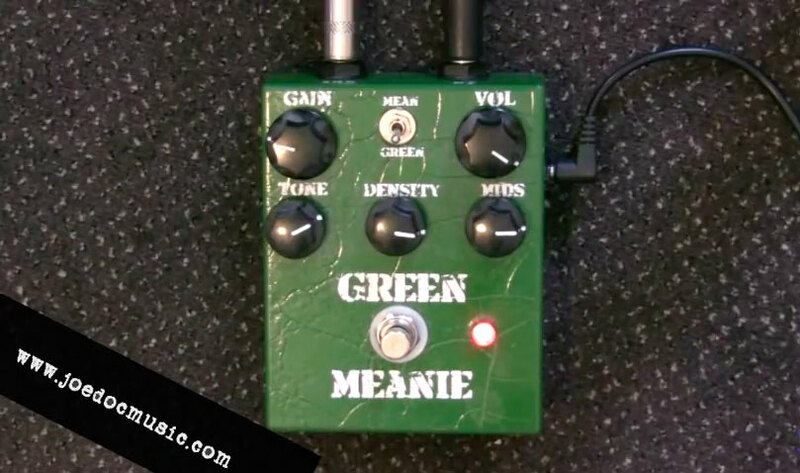 ***NEW*** The “Grit” switch (Octave Up Side) has now been retired in favor of a “Tone Cut” switch. The “Octave Up” side is now wired with the grit switch “on”. It simply makes for a stronger octave effect. The tone cut switch allows you to have a tone roll-off already set when you switch in the octave. Generally, the octave up sounds best with a bit of tone rolled off, especially when bumped into the fuzz. With the switch, you have the option to set that to off in case you are playing a clean octave and want it a bit brighter. What the Humdinger IS this thing? 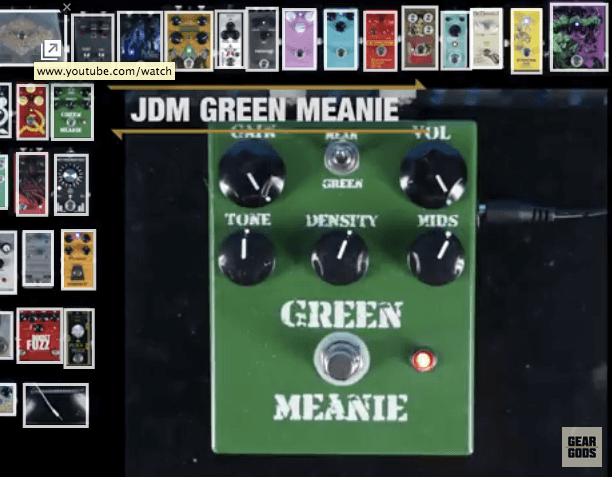 The JDM Humdinger is a switchable Octave/Fuzz pedal, in the tradition of the Foxx Tone Machine, but with many improvements. I’m a big fan of Octavia, the Foxx Tone Machine, and similar fuzz/octave pedals, but I have found that each one has a narrow “sweet spot” on the guitar where it sounds good, and the rest of the range leaves a lot to be desired. So we took the octave circuit back to the drawing board. Using JFET preamp and output stages, the classic octave-up effect took on a new smoothness and started behaving more “player friendly” – it no longer dies away so quickly, and responds far better to volume pot changes on your guitar. The octave can be switched out, allowing you to use the octave side as a JFET boost to give the fuzz side a kick into overdrive bliss when called for. The Fuzz side is a flexible Silicon Tonebender-style fuzz that cleans up exceptionally well with your guitar’s volume pot to provide classic rhythm tones. Cranked, it ranges from crispy, ripping-velcro fuzz tones to British rock style overdrive, adjustable with the “texture” knob. The input filter switch lets you “tighten up” the fuzz with a filter similar to what you get from putting a Rangemaster in front of the fuzz. 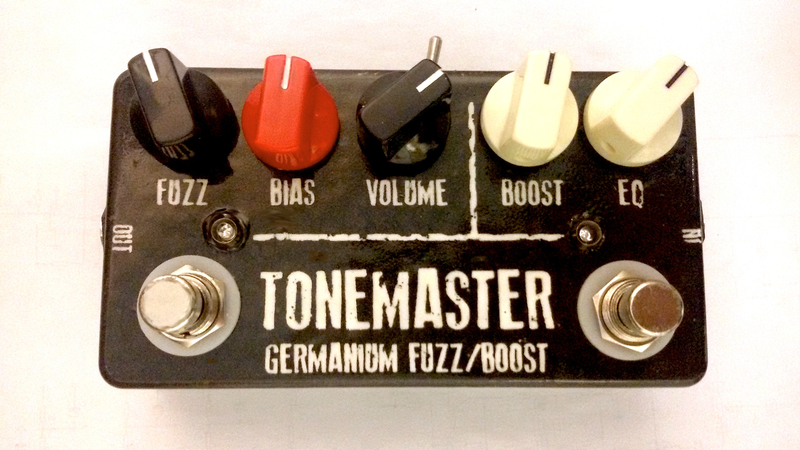 Needless to say, having a switchable octave/boost in front of the fuzz multiplies the tonal possibilities. 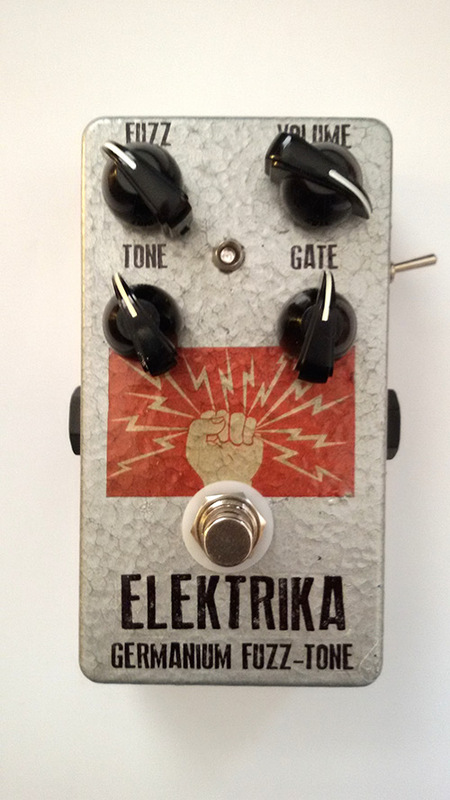 At $149, this handmade, boutique pedal won’t break your budget, and provides you with tones you won’t find elsewhere. My Stratocaster LOVES this pedal, and it loves my Strat. Humbucker equipped guitars also sound great with the Humdinger, and neck-pickup octave tones sound smoother and rounder compared to Strat single coils. You built me a couple of Humdinger circuits (with germanium transistors in Tonemaster enclosures) a while back…beautiful sounding critters. My question: How many mA does one of these pedals draw? Thank you so much,my Humdinger is all that you say it is and then some.This pedal rocks!!!!!!!!!!!!!!!!!!!!!!!!!!! Thanks Jon! Glad you dig it… let ’em have it down there with some fuzz-crazed Octave-up solo madness!